^^ It's illegal to pass along them as well, isn't it? Yeah, that's illegal also although some people turn a blind eye to it. It's the same with the parking restrictions, for example if someone wants to park outside a store to buy something and there's no other space than to park on the zigzags they will do so and stick their hazard flashers on as if it makes it OK to park illegally. ^^ Always an easy way for the parking authority to ticket and tow your vehicle, I'm sure. As for the toll road proposal, it should be pointed out that VA 3 to the west of I-95 is a painful drive due to signals and commercialization. I'd hazard a bet that the toll road promoters are banking on drivers (commuters especially) wanting to pay a toll to avoid that VA 3 mess. The stimulus has also allowed for widening of VA 3 west of Fredericksburg to six lanes out to Gordon Rd. At least there still is some kind of cash option. Most ramp plazas in Illinois are unattended with a case option. And, even before EZPass/I-Pass, they've been unattended going back 35 or more years. I'm glad we only have one toll road in Metro Atlanta. And that route can be avoided several ways. I also plan to get some photos of the I-295 flyover project myself when I get the chance. Downtown Short Pump, a local e-zine that I contribute photos to, had to use an old photo of the ramp being built because I haven't gotten new photos yet. The I-295 repaving project has finally resumed, with VDOT having set up cones and equipment at Woodman Rd and at US 1. This segment of the project will see I-295's southbound lanes repaved between Woodman Rd and US 1/I-95. Frankly, all of I-295 between I-64 (Short Pump) and I-95 is in dire need of repaving, and the resumption of the project is certainly welcome. The last remaining section of I-295 between both I-64 exits to be repaved is between I-64 in Short Pump and just past Nuckols Rd, which is probably the bumpier of the two segments. It's a stimulus project and will be repaved this fall. Went to Virginia Beach today (didn't drive but served as a navigator). I noticed that signage within the city has improved quite a bit. Some routes are better posted than they were previously, and a lot of oval shields have been replaced. Unfortunately, the newer shields are either deformed semicircles or Interstate-like shapes. So the signage is better but they have a ways to go. Old VA 305 is erroneously still posted at the main entrance to Fort Story, but in a semicircle and not an oval. There are also more reassurance markers for US 60 along Shore Dr and Atlantic Ave. VA 190 was well posted at US 58 (but not at I-264 still), as was VA 403. The erroneous VA 343 ovals are now semicircles, but VA 343's southern stub is still not posted. There is a "decapitated" I-225 shield at the interchange with US 13. Same deal with VA 279 at US 60, but this was noted on the VA Hwys Project already. The US 225 shield on US 60 is still there but I didn't get a photo of it. I wouldn't be surprised if there were a few "VA 615" shields lurking about now that Virginia Beach has been putting up more signs. There's more Clearview, as 74/171FAN captured before. Most of the signage on I-264 has been replaced with carbon copy Clearview, and the BGS for US 60 on northbound US 13 is also Clearview with SHORE DRIVE in all capital letters for some reason. Almost every sign along I-564 is in Clearview now, and I think I-564 is probably the closest to being the first interstate in VA to have 100% Clearview signage (unless I-381 has all Clearview signs now, that is... ). The strange, old US 13 and US 60 BGS with the directions inside the route shields is still there. The VA 564 error at the Naval Exchange is still there. Nearer to the beach, there is a lot more signage for I-264 now than there used to be. Most of the signage directs traffic to streets other than 22nd Street (which actually becomes I-264) due to congestion, but congestion remains a huge problem. The posted alternates (Norfolk Ave and Laskin Rd/US 58 to Birdneck Rd) are just as congested. The actual end of US 60 (at the south end of Atlantic) is still not posted. Which is a shame because we went through a ton of trouble to get there (the trip down Atlantic and Pacific took about 30 minutes). 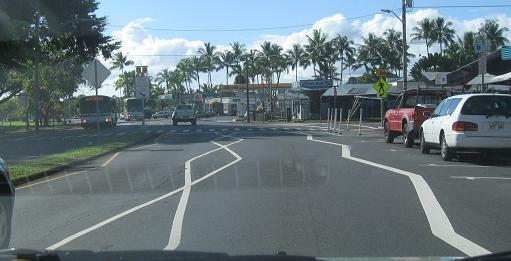 The erroneous SOUTH/NORTH US 60 setup at where Atlantic and Pacific split is still there. I took a lot of photos, and I'll post those later when I've gone through them all. Unfortunately I had to use two different cameras since my Olympus's batteries (I have two packs) both died because I forgot to charge them. Photos are here. I haven't finished captioning everything, though. For some reason Richmond has removed the END VA 6 sign at VA 6's eastern terminus at Kensington Ave and Boulevard (VA 161). Seems the sign was removed to make way for a pedestrian signal. The signal was needed, sure, but they really didn't have to remove the sign. I also found an END VA 161 shield at Commerce Rd & I-95 in southside Richmond the other day. I've a question about I-64 & I-664 (Hampton Roads Beltway) in Hampton Roads. Wouldn't it be easier to begin/end I-64 in Hampton, and have I-664 take over the entire beltway? That would end the confusion, wouldn't it? That got discussed in another thread last month, and it gets brought up in the Virginian Pilot (Norfolk-area newspaper) at least once a year. To make a long story short, the route numbering won't change because the cities can't come to an agreement on how to renumber the Interstates, and nobody who currently has I-64 wants to give up being on a "major 2-digit Interstate". This is partially why the Hampton Roads Beltway designation was created....though based on experience, almost nobody down in Tidewater uses the beltway designation. But, for sake of argument, I-664 couldn't take over the entire beltway and the other spur routes stay in tact? At this point it might be easier just to make the whole beltway I-64 and find some creative way to sign it. Or we can leave it alone. BTW, I was in the Williamsburg area yesterday (re-clinching VA 359 in the process). VA 359 is no longer signed with directional banners like it was before it was rerouted. There is one VA 359 shield southbound near an entrance to the Jamestown Settlement, but no shields northbound or at the Colonial Parkway (which is understandable). It's also currently impossible to go anywhere from the southern end of VA 359, as part of the Colonial Parkway is closed due to bridge repair. I did take photos (including of the western end of the Colonial Parkway) and I'll post them later. I would've gone into Jamestown to see how the Parkway is signed from in there, but I'm not paying $10 to visit a place I've already been to once in my life! The error US 359 shields mentioned on the VA Hwys Project are long gone. On another note, there are now overhead END VA 143 signs near Camp Peary and the I-64 interchange. I think I might've seen an end shield near the entrance to Camp Peary, but I didn't want to go near it. The older BGSes on VA 195 westbound (the distance sign and Belvidere St signs) have been replaced with Clearview signs. I don't know if the one on 12th St at the ramp to VA 195 has also been replaced. Have you noticed yet that when Interstate 74 is extended into VA with I-77, and junctions I-81, it would form an interstate triplex?